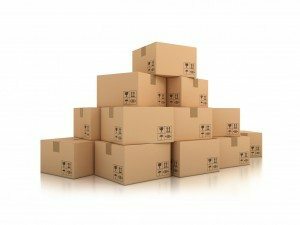 Of course, one of the first things you need to have ready, are the many boxes that you will be using to transport belongings to your new home. With this in mind, there are of course a wide range of boxes to choose from, and many people tend to go for the bulky, see-through plastic boxes that you can buy in places like B&Q. We would advise against these however, as plastic boxes can crack and break when under pressure, leading not only to broken items, but also injuries to the people trying to carry them. This is why we sell an array of strong, double-walled boxes within our online store (Just don’t forget to tape up the bottoms rather than fold them in on themselves – You don’t want to undo all of your hard work by picking up a box and the bottom falling through!). . What’s more, we offer them in useful packs that are designed to hold belongings from homes of various sizes – so you’ll know exactly how many boxes you need for when you move. Remember also to keep some sharpies on hand for labelling everything! 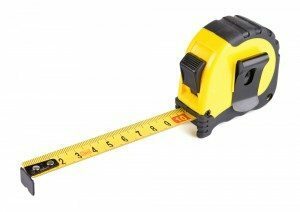 Although a measuring tape may sound a little trivial, the truth is that the devices are becoming increasingly important due to the fact that British houses are actually being built to a much smaller scale. In fact, in 1920, the average house measured at 1,647 square feet, and was usually built with four bedrooms. Today however, the average three bedroomed new build home is built to a mere 925 square feet according to the Institution of British Architects. This means therefore, that not only are rooms considerably smaller, but so are the corridors and passages that lead to them. So before you move into your new home, it is important that you measure all corridors to ensure that any large pieces of furniture can get through without issue. Britons are now living in some of the smallest homes in Western Europe, with Ireland building houses that are 15 per cent larger, and Denmark building houses that are 80% larger than those built in the UK. 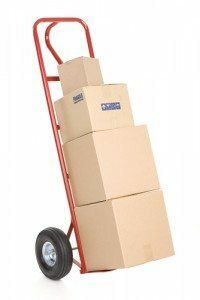 Box trolleys aren’t a necessity for moving home, but if you have one or two spare, they can be a life saver for when it comes to moving your boxes from your van to the house. If you are buying our removal service, we wouldn’t expect you to do any lifting but if you are moving on your own, they can be very useful. By buying or renting a few simple trolleys, you will cut down time, stress, and chance of injury. What’s more, you’ll have more energy to enjoy your new home. 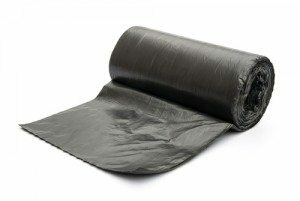 Although it might sound a little silly, bin bags are imperative for any move, as there’s nothing worse than getting to your new home and finding an array of clutter, rubbish and mess from any work that you might have had done there. They’re also fantastic alternatives to boxes when packing up your soft furnishings. Yes, it’s absolutely fine to pack your bedding in bags – AND it makes life much easier for you.What’s more, it’s highly likely that you’ll have more stuff than you ever imagined, so it is worth having them around for if you want to get rid of the knickknacks that you don’t want to take to your new home. But if you can’t bear to part with it, then you can always look at storing it instead. If you want maximum protection for your possessions, you’ll need to have stacks of this on hand to ensure that your favourite and most delicate possessions are totally protected from the unforgiving elements of moving home. If you’re an avid collector of fine wines, or if you just have a few bottles left over from an old party that you want to take with you to your new home, these things are saviours. Pop one into a medium box and you’re done. All boxes need to be taped up at the bottom rather than folded so you’ll be going through lots of it! To save time (and your teeth if you’re the type to shy away from scissors!) 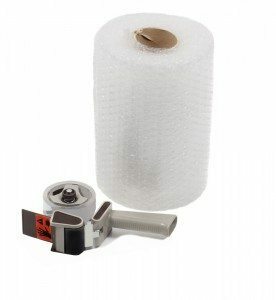 using a tape gun will make the process much easier and much quicker. If you have anything precious you want to stay protected throughout your move, tissue paper is the answer. From items of clothing such as a wedding dress, ornamental silver and porcelain items, to precious jewellery items; using acid free tissue paper is a must to keep your delicate items protected and safe during transit. Handily, you can find these products and removals packs on sale in our online McCarthy’s Box Shop store.